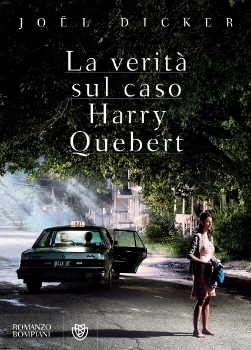 Penguin announced today they have acquired the rights to The Truth About the Harry Quebert Affair by Joël Dicker. This literary thriller has knocked Fifty Shades of Grey and Dan Brown's Inferno out of the top spots on European bestseller lists; it's sold nearly a million copies in France alone. Though no price was disclosed, the deal is being heralded as Penguin's "biggest acquisition" to date. The international best seller from 28 year old Swiss author Joël Dicker is being described as "a fast-paced, tightly plotted, cinematic literary thriller, and an ingenious book within a book". The Truth About the Harry Quebert Affair focuses on a 15 year old New Hampshire girl who went missing 30 years prior and an American author who wants to clear his mentor's name while finding material for his next best seller. Causing quite the stir at the 2012 Frankfurt Book Fair, The Truth About the Harry Quebert Affair has won 3 literary awards in France. Purchased by The Girl with the Dragon Tattoo publisher at Frankfurt, rights to this European hit have been been sold in more than 32 countries. Following an intense bidding war executive editor John Siciliano came away the victor for the US publishing rights. Penguin plans a paperback original release in Summer 2014.